You may have seen this message in message centre. 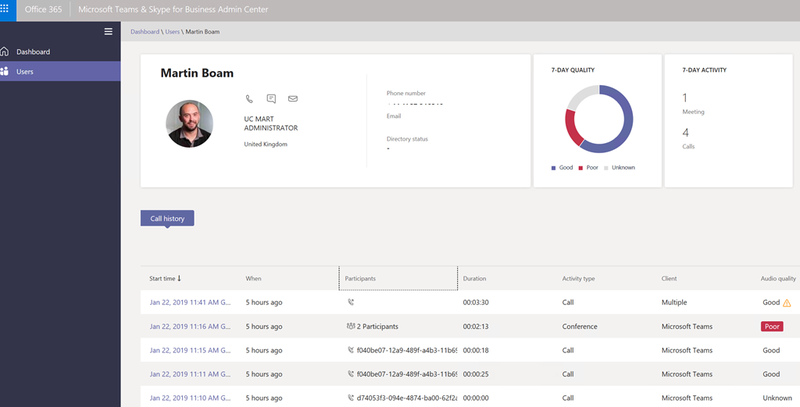 Call Analytics accessible in the Skype for Business Online admin centre (Legacy Portal) is being retired and it will only be available in the Microsoft Teams and Skype for Business Admin Centre from the 15th Feb 2019. If you had setup Call Analytics previously with permissions (perhaps for your helpdesk or support team) using the Tier 1 and Tier 2 agents permissions groups then you need to set this up for the new Teams Admin centre under the new Teams Admin roles. 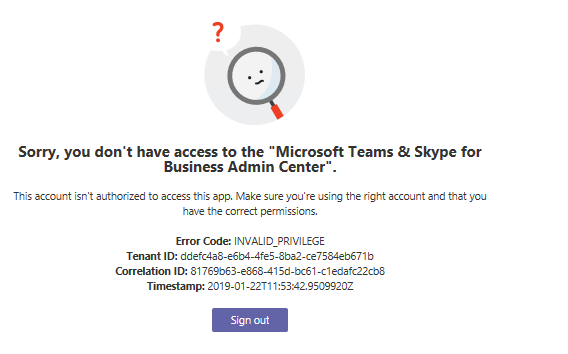 By default if Tier 1 or Tier 2 users when they try to access the Teams and Skype admin centre then they will get invalid privilege as they dont have permissons. So we need to add users to the new Teams RBAC Admin roles so they can access CA in the Team admin centre. The two groups I’m interested in are Teams Communications Support Engineer and Teams Communications Support Specialist as they seem to map to the previous Tier 1 and Tier 2 roles. Tier 1 is restricted to only show the names of the user the agent searched for and other receipents are masked with “Internal / External User” so this role is restricted more. Tier 2 can see all recipient names as shown above. 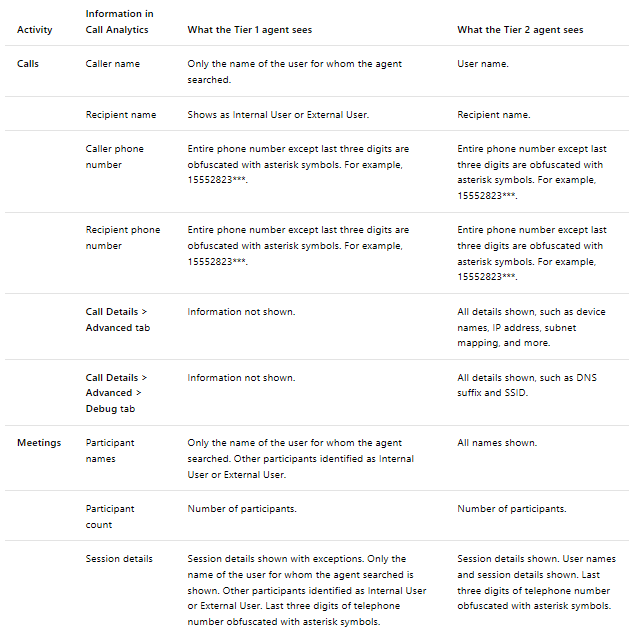 I had an existing Security Group with the members in for Call Analytics but it seems i cant reuse this group for the new Teams RBAC roles in Azure AD. I was looking to try and add the existing group to the Teams Azure AD RBAC roles but this doesn’t seem possible so that leaves adding the members to the group manually. Also another option if your licenced for it is to use Privileged Identity Management (PIM) to only assign the role when requested. For this example ill add members directly to the RBAC group. We can now sign in and search for users and view Call Quality Analytics. Hope this helps with your move to CA in Teams Admin centre.